What kind of workouts did you do before you started CrossFit? I tried all kinds of workouts in my “past life”. Zumba, water aerobics, circuit training and weight training but never really cared for any of it. The only other type of working out I have ever been passionate about is running. What was your first CrossFit experience like? I did NOT want to do it. I went to my first class to appease my husband who had recently started and told me he thought I would love it. My first class I remember thinking “I hate this. I love this.” I haven’t really looked back since. 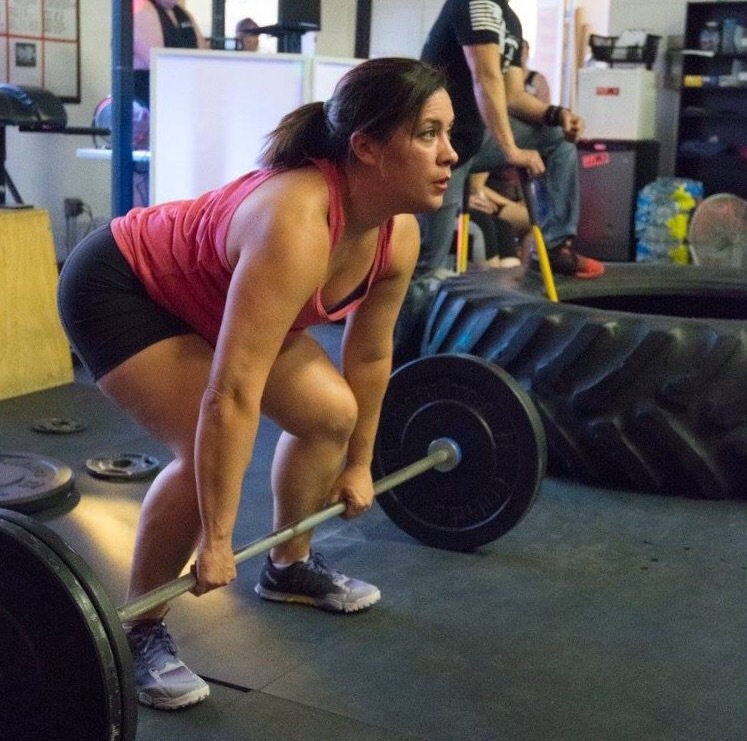 How has CrossFit changed you in your personal life? I feel more confident and capable in my daily life. I did not go into this expecting to make friends or find mentors. I was dead wrong and couldn’t be more thankful for the connections I have made through CrossFit. What kind of music do you like to WOD to? In my every day life I like all music….except for country, country is terrible. Working out? Give me angry, loud, fast or beat driven and I can make it work! What are your favorite movements or workout? I love Sumo Deadlift High Pulls as an individual movement. Overall workout, I enjoy Murph. The mental game you have to play with yourself is a welcome challenge. What movements or workout do you hate the most? Jumping Rope…..we hate each other. What made you decide to become a CrossFit Instructor? I have been teaching Cosmetology for 14 years. Instruction is engrained in who I am. Day in and day out…helping people improve their skills in anything is very rewarding to be a part of. When I found another thing I loved as much as I love Cosmetology, the only logical next step for me was to push myself by learning how to teach it. Before CrossFit I would wander aimlessly around a Globo-Gym doing machines. Three sets of 10 sounded good, so that’s what I did, on all the machines. Then I would power walk on the treadmill while watching TV. I would never really be sore, and never seemed to get any stronger or faster and I definitely never grew the motivation to go more or push myself harder. I thought I might die. I couldn’t run a 200 meter, had to do PVC Thrusters and could barely do 1 burpee in a minute after I got winded. I couldn’t stand without help from my arms for about 3 days after. Everyone in the Saturday morning class was so helpful, encouraging and kind. I felt the community from the beginning and knew that Caliber was what I needed to get myself on track. Beyond just the physical changes in my body, I think I’m more confident overall. I’m more willing to take risks and push myself to do things that aren’t necessarily easy, but will be worth it. Looking back, I think I was depressed but I didn’t realize it at the time. Now, as long as I’m consistent with my workouts, I don’t feel like that anymore. I feel like I can do anything, and even if I fail, I’m proud of myself for at least trying. Thrusters, Wall Balls, Clean & Jerks. 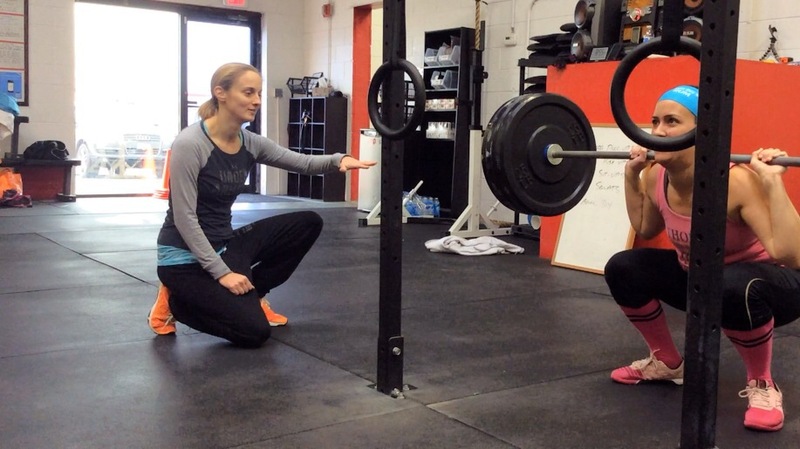 I am a teacher by trade so combining CrossFit and teaching was a logical next step for me. I’m also a giant nerd who loves to soak up the whys and hows of how things work and then share that information with others. I have learned so much at CrossFit training seminars and I can’t wait to do more. Before CrossFit I would run 5k’s a lot because it seemed like the trendy thing to do. I would go to the big box gym and watch The Biggest Loser or the Bachelor on the treadmill for an hour and then go sit in the hot tub for another. Then go home and eat a pizza because- hey I earned it. I had just gotten the all clear to start working out again after having my son. I don’t remember specific details because of sleep deprivation at the time but I remember jumping rope and I did not get along. We still don’t but our relationship has improved. CrossFit has made so many changes for me personally. I just feel more confident in myself and my abilities all around. When I first came to Caliber I was so shy and introverted and now I’ve gotten to know so many great people. I’ve been able to overcome a lot of my introversion at work as well and been able to take on a lot of new opportunities and connections. I like a little bit of everything, I like to rock and being a former Chicago Catholic School Girl I do love some good booty shaking music. A lot of things, I’ve always wanted to pursue a career in health and wellness in some fashion but I was never sure what sustainable direction I could take that in. Since turning 30 I’ve made it my goal to make my 30’s more productive both personally and professionally. I work in HR for my day job and a lot of what I do focuses on career development and finding new ways to do that. 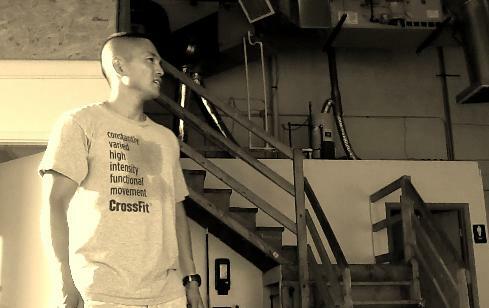 CrossFit helps me with my facilitation skills and teaching others. Every class I teach helps give me that much more confidence the next day in the office when I have to present something or help guide an employee. Before CrossFit I didn’t do much but chase a toddler around the house. Occasionally I would take a spin class. But I wasn’t very active. I was scared and intimidated. I was told to take this 14 pound ball and toss it above my head as high as I could then catch it and squat. The ball smacked me in the face on the way down. I was hooked after that. Four years later the ball is still occasionally smacking me in the face. Before I walked in the doors of Caliber I was 175 pounds and unhealthy. Today I’m 20 pounds lighter, stronger and can see muscles. I’m in the healthiest shape I’ve ever been. What kind of music do you like to WOD to? Secretly I’m a headbanger at heart so when the angry Rocker music comes on… it’s time to get to work. I like a good rap mix with some Reggeaton mix in! Bodyweight workouts, Deadlifts and clean and jerks. Believe it our not I LOVE MURPH!! What made you decide to become an Instructor at CrossFit Caliber? I love the results I’ve seen and experienced. I want to help as many people as I can to feel their best, conquer their fears and do things they thought their body couldn’t do. I tell everyone that I was intimidated and I was lost on day one, but don’t give up, keep coming in. It doesn’t get easier, but you get better and the results you see will be worth it. Certifications: CrossFit Level 2 Trainer, CrossFit Olympic Lifting, CrossFit Kids, CrossFit Gymnastics, CrossFit Mobility, First Aid, CPR and AED. 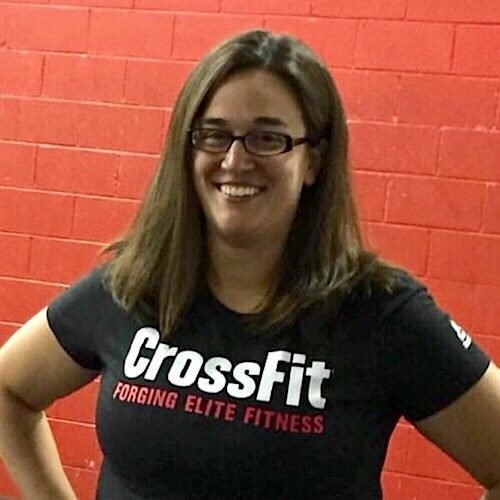 Before I stumbled upon CrossFit I tried many different modes of developing fitness by going to the big box globo gyms, taking martial arts classes and even trying the popular workout DVD’s. For more than a decade I thought I achieved a respectable level of fitness. Boy was I wrong. Nothing prepared me for my first CrossFit workout. It was in October of 2008 when I tried “Elizabeth” and it floored me. 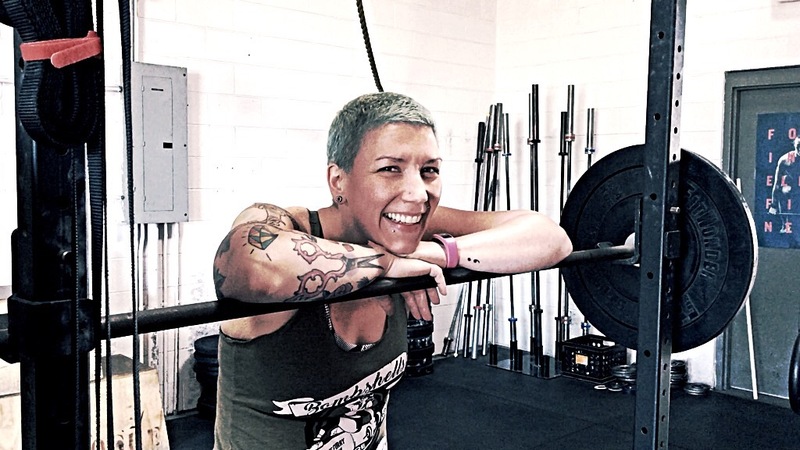 From this point on I was immediately hooked, and for a while afterward I relied solely on crossfit.com, my standard barbell, dumbbells and a door frame pull-up bar for my workouts. I must admit, however, that I went back to the globo gym a couple of times when it was raining or snowing hard to use their treadmill for running. But about six months later I cancelled my membership and soon I converted my garage into “my box”. Over the next few years, my fascination for CrossFit grew. I saw myself improving by leaps and bounds in my capacity for strength, power, endurance and in many other areas too many to mention here. 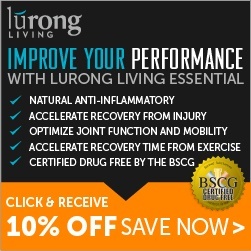 Most importantly it has given me a renewed sense of well being and enhanced confidence that I had never had before. Movements: Pull-ups, Rope climbs, Clean & Jerk, Deadlift & Burpees, yes, Burpees. 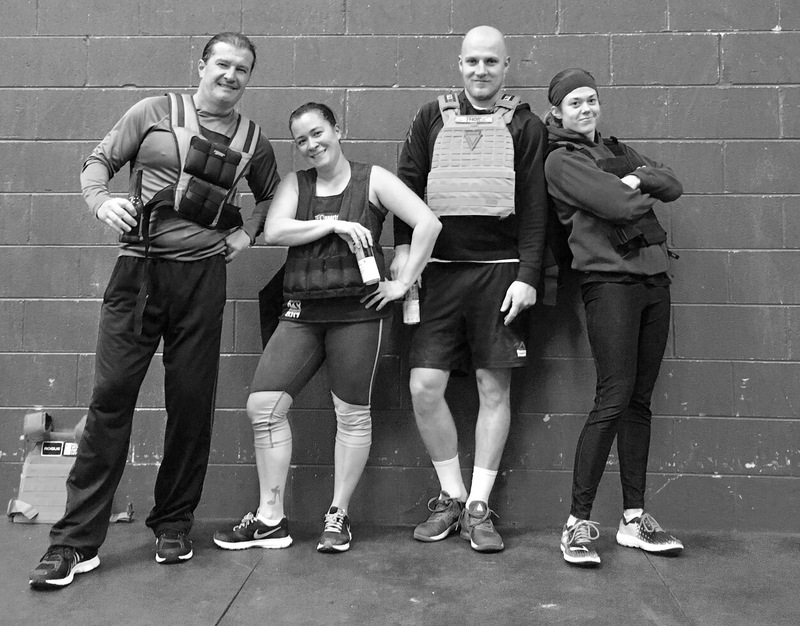 Workout: “Murph”, Rx’d with a 20 lb vest baby! Movements: Fricken Wall Ball Shots, no good for shorter people!